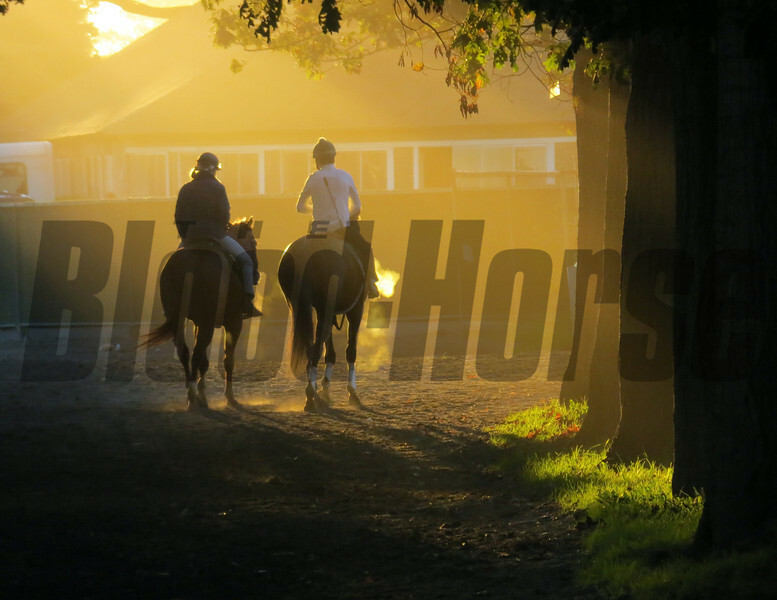 A chilly, cloudless October morning at Beautiful Belmont provided the setting for trainer Bill Mott and his band of Breeders' Cup big guns. First it was Royal Delta who hit the track at 6:45 for her half-mile work, followed by Flat Out, then Ron the Greek, and finally To Honor and Serve, who completes Mott's imposing trio for the Breeders' Cup Classic. There are few backdrops more aesthetic than Belmont on an invigorating autumn morning, with beautiful horses set against a deep cerulean sky.